In the realm of skincare, vitamin C is a bit of a controversial topic. It needs to be packaged and formulated in just the right way to keep it fresh and potent, and some bottles come with such small concentrations that it's barely effective. So usually, if a serum is very inexpensive, chances are the concentration is low and you won't get much bang for your buck. 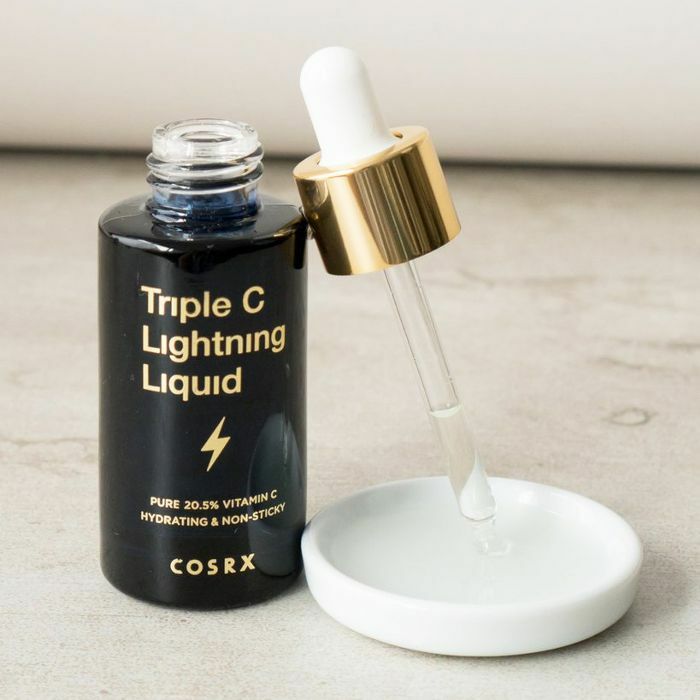 None of this is a concern with CosRX's latest serum: Triple C Lightning Liquid, though. It boasts a whopping 20.5% vitamin C, an unprecedented market amount. To ensure that it's fresh every time, CosRX makes the serum in small batches, and then has them air-shipped directly from Korea, so it's no wonder a 10,000-person waiting list has stacked up for weeks (though it just became available, so hurry before it's gone!). All this considered, it'll only set you back $27. Why do you need a vitamin C serum, you ask? For starters, it helps boost collagen, reverses UV damage and hyperpigmentation, heals wounds, and relieves dry skin. This particular blend is an excellent choice because studies show that maximum absorption is achieved with a 20% vitamin C concentration, even when compared to a 30% concentration. This editor gave it a try and noticed marked brightening effects after just one use. So what are you waiting for? Get your own blend shipped to you today. Up next: If you want to see the effects of vitamin C in action, take a look at this before and after photo.